★ツ 10 things I’ve noticed about people who laugh a lot from my personal experience. 1) They don’t age quickly - they actually look younger than their age. 2) Attract a lot of positive energy. When we feel good, we emit a powerful frequency that attracts back more good things. 3) Don’t usually take things to heart. 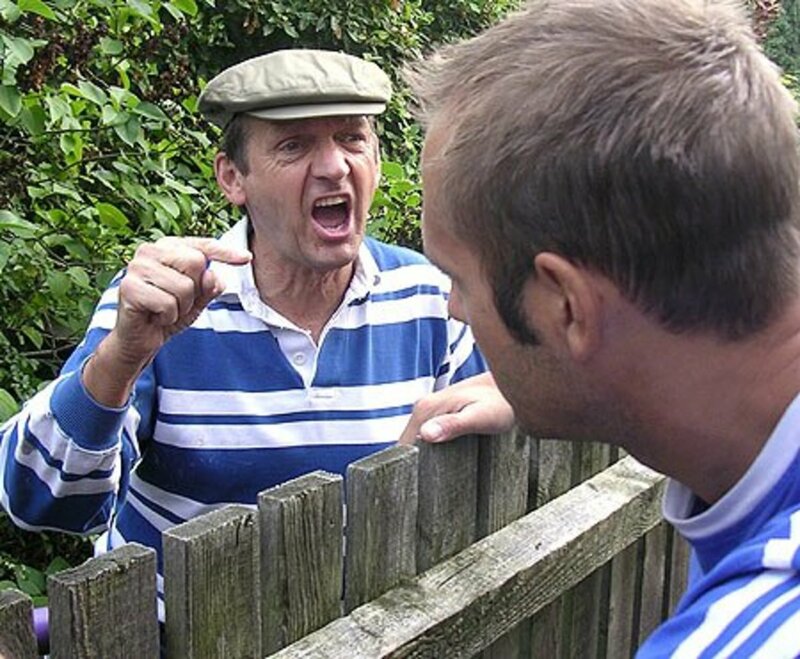 E.g If you offend them, they don’t keep Malice. They just let things go, no grudges. Easily forgive. 4) They will make you laugh even when you are sad. You just can’t help yourself. Sometimes, even when you have just had a good cry, when they come by, you’ll also have a very good laugh. 5) They are missed when they are not around. One day away from them would feel like one long week. 7) Attract good opportunities first. They come to mind first. Example, for a nice new postion at work, or maybe someone has a holiday voucher / tickets they have no time to use. etc. "Disease can not live in a body that’s in a healthy emotional state. Your body is casting off millions of cells every second and it’s also creating millions of new cells at the same time." 9) Tend to recover quickly from diseases. (Stress, bitterness, depression can actually make people develop tumours). In the book “The Secret” by Rhonda Byrne. (The Chapter - The Secret to Health) Two people shared a story. They both had terminal diseases and one of the things they did was to watch very funny movies. Within months they were cured from their diseases. (They were Cathy Goodman and Norman Cousins). Our mind/thoughts are so powerful. 10. There is one negative thing. It's not easy to tell when people who laugh a lot are hurting inside, as they cover up the pain with their laughter. So, we need to be very observant. Some people laugh a lot on the outside, but cry on the inside. Interesting and Fun read about Facts of life. Useful if you take quizzes too. Who was the woman on Dad's Mobile Phone? Relationships - The danger of jumping into conclusions. I agree about people who laugh from a place of joy....In my office, we have a manager who is charming, warm, caring and laughs effortlessly. He is a pleasure to have around. Then there are two girls, here giggling all the time. They lend the impression that they can't take anything seriously, are unfocused, and so busy laughing, being clowns....they come across as immature and a huge detriment at work. Of course they have enlisted other women into a clique who giggle and cluck like a gaggle of hens, being incompetent at work, while those who are serious and focused, and not laughing randomly over stupidity are sidelined...Hey, they can get over illnesses easier while they give us ulcers....We do the work while they cost and get paid for showing up. We serve the clients while they get a free ride. 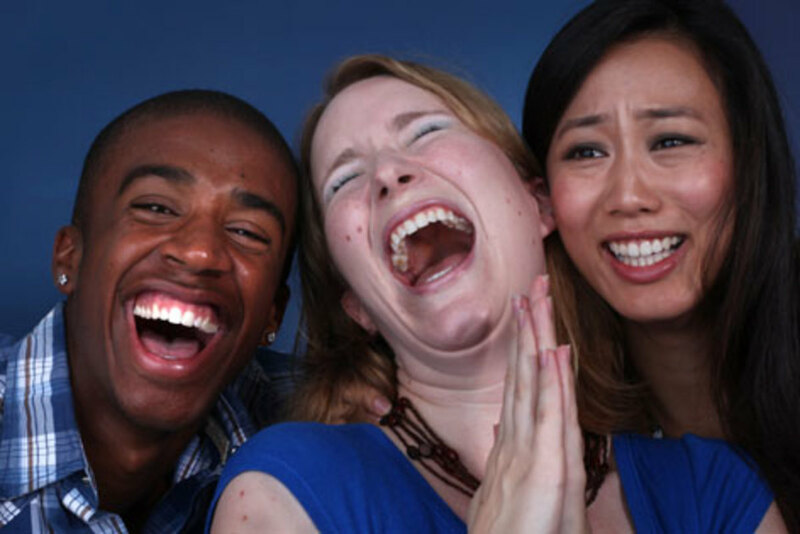 Sometimes incessant laughing = stupidity, lack of gravitas, scattered energy, incompetence. Just saying. I really needed to read about laughing because lately I have been depressed and been laughing a lot!! This brought more clarity to that. Thank you for that.It didn’t make me laugh, but did confirm my beliefs. Good job! I love the idea of calling wrinkles laughter lines:). No need for botox. Also, No. 10 is very true. Wonderful article. Thanks Word55 - Glad you enjoyed it. Beautiful ideas, I'm so inspired. Thanks! Hope life keeps you smiling. Great Hub, Lady_E! Nothing better for the soul than a good, hearty laugh. This is a great reminder to do it often and with gusto! Thanks! @Julie Thank you. There is never a dull moment with such a friend around. @Favored Thank you. It truly is good medicine. Brings out the best in the body. I agree with your list. Laughter gets me through the day. There isn't a day that my husband and I don't laugh. Like the Bible says, laughter does good like a medicine. I agree with all your observations. I love it when people can make me laugh. I've one friend I virtually never fail to laugh with when we are together, and she is very special to me for this and other reasons. Well done. @fpherj48 Thanks for sharing your beautiful story. Sweet memories. :-) Best wishes. Hello, I can recognize me in lot of points. 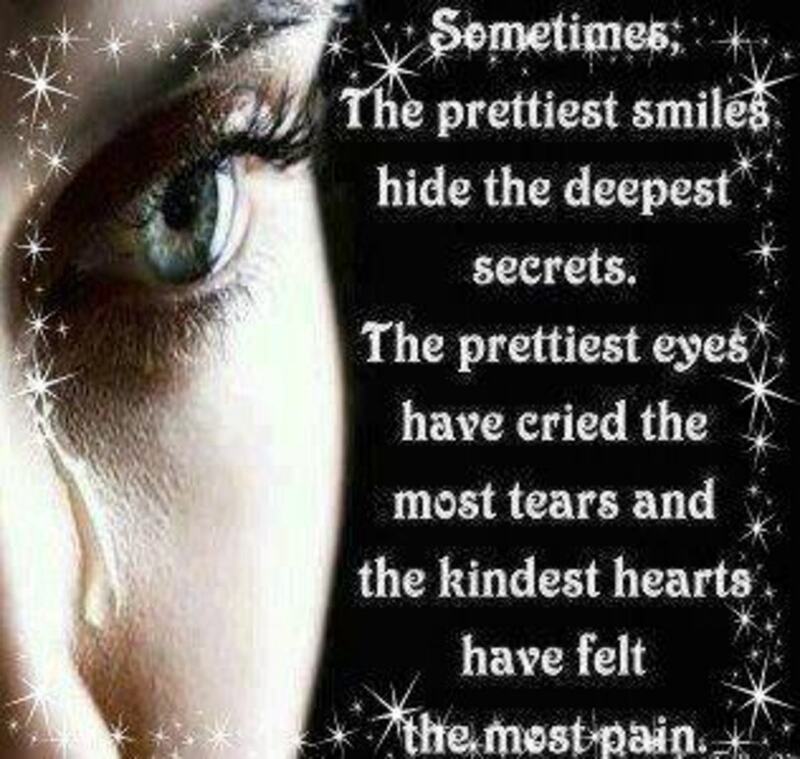 I smile and laught a lot also if I cry inside...I think is both a good and bad thing! This article is so true and lovely, I agree to everything and it make me smile :)! Lady E....Very timely that this hub of yours has shown up in my thread today......Just this past Sat & Sun, I had 2 family reunions.....my maternal side and then my paternal side. They were both one laugh fest after another. I'm telling you, people from outside our family, we're pretty sure, think we are a gang of air heads......and please understand we couldn't care less about that. We feel no need to explain that in fact, we are all sane, well-educated, proper when necessary......but we KNOW how and when to have fun. The thing is.....for the first half of our lives we loved to laugh and be happy and now.....we reminisce about all those past good times and laugh even harder. At the close of the reunion from my mother's side of the family.....we all went down to the beach and formed a circle......we read off the list of all of our departed & much loved family members......and sent off a Japanese Lantern into the sky........hugged and kissed one another Good-Bye while smiling and wiping away tears. @georgescf - Thanks. I am glad you enjoyed it. @fpjher48 - Thanks for your lovely comment. Wow.... a home of laughter. I like that you can identify with the Hub too. Cheers. Lady....Powerful! I couldn't agree more! I grew up in a home of laughter......our Dad being a born comedian. My sister and I could make each other laugh like no one else......and we both have adult children who have inherited the laughter gene. Your points are so accurate.....I know, because I live my life this way as well. There is plenty of time and enough circumstances that can cause us sadness and tears. They come in life....without invitation. So we feel the pain and get through the trials and sorrow.....holding on to those we love. When the darkness fades and life must go on......we cannot allow grief to consume us and steal precious moments that remain. Happiness, smiles, love and laughter......better than any medicine or a dozen kinds of therapy!!! !....UP+++ tweeted & pinned. really a great hub point some valuable information. I also agree with the fact and laughing can really keep you going healthy and happy. Great hub and so true about the person being missed from the group and laughing makes me feel great. What an awesome Hub. 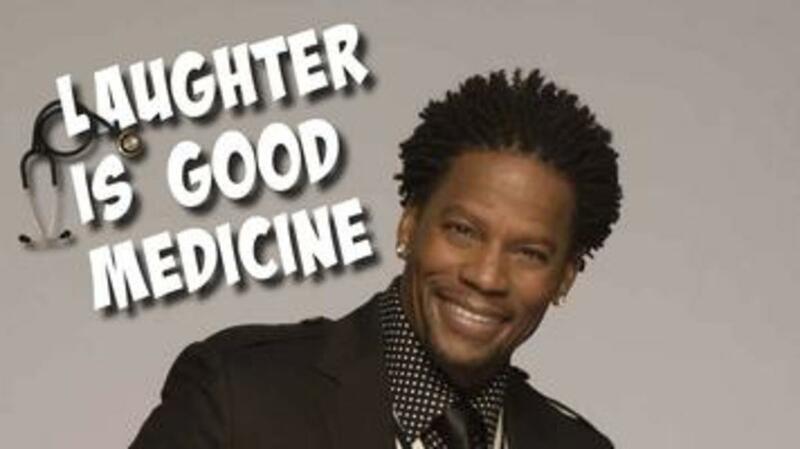 This sure gives meaning to "laughter is the best medicine. " Thanks! I laugh a lot, I have no idea if it feels good or bad, cause I laugh all the time... even when it's not funny hahaha (you see what I'm talking about). This is a pretty cool article. It's good that you put rule #10 in there as well as a sort of reminder. I love your sense of humour .. i wish i could inject jokes into my posts too but my niche just doesn't cut it .. Thanks Marie. It really does need to be nurtured and brings people together, breaking any ice. I'm glad you enjoyed it. I loved this article about laughter and really subscribe to it......even as I was reading it, it was putting a smile on my face. I hope to be a person that laughs a lot. I often watch old style comedy programmes on T.V. and really enjoy watching all the family join in with a great guffaw! I think laughter can really bring us together. A sense of humour is a great thing and needs to be nurtured and developed. Perhaps if you stop laughing you get out of practice! Thanks for making me think about this! Many thanks for stopping Vishakha. Thanks Vellur. I'm glad you enjoyed it. Great hub, I feel happy after reading this. Laughter definitely is good for everyone. Voted Up, up, up and shared! @Superfly - I totally agree with you. Laughter does make you take life lightly (easy going) as you noted. Thanks for stopping. Keep happy. Youth laugh a lot more than adults do. If adults laughs a lot it can make them look younger as adults subconsciously associate lots of laughter with being young. Laughter is good for stress relief and people who laugh a lot tend to be easy going so they accumulate less stress than the average person. These are two possible explanations for why people who laugh a lot tend to look younger. That's lovely Miss Singleoo. Thanks for stopping. Smile & Laugh a lot, I do that and It's all good!!! So True Jravity and I hope life keeps you smiling. I do a lot of things... It feels good to laugh...especially because....life... and stuff. 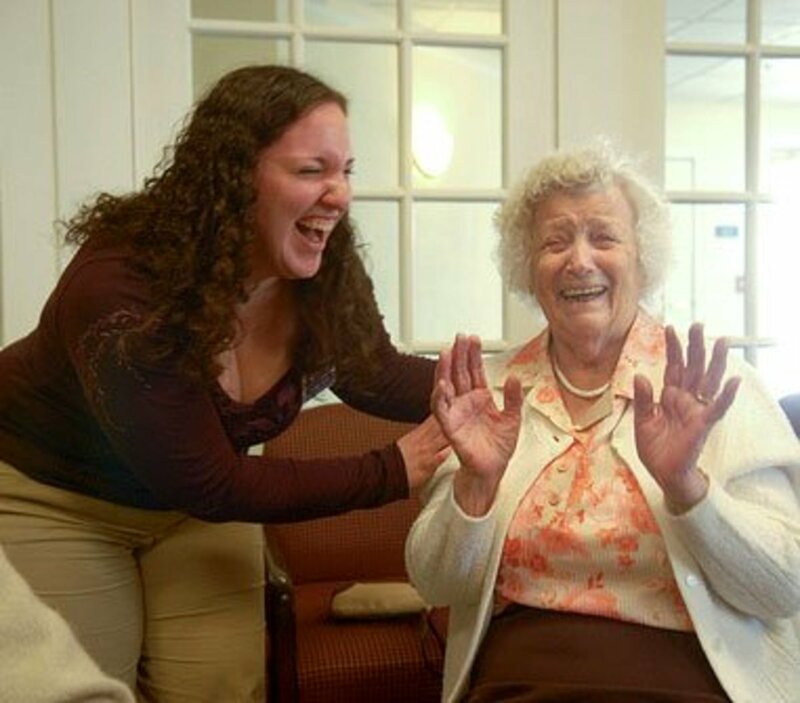 One of my favorite topics... how a good laugh can keep you going, no matter what is going on around you. It is so true that those who laugh a lot are those one wants to be around most... and every one of your points rang true to me. I loved this Hub, voted up and sharing. @Jools99 - That's awesome. Keep merry... Thanks. @Torrilynn - Aaawh... I'm glad you enjoyed it. Thanks for stopping. lady_e, i never stopped to think about people who laugh a lot and what that might actually mean. thanks for this hub. voted up. @CrisSp - Aaawh ... thanks for taking time to open it on Facebook and big thanks to Rasta1 too for sharing. May life give you lots to smile about. I love this hub! Thanks to rasta1 for sharing it on FB. Laughter indeed is the best medicine and nothing beats it. I like the energy here. Great hub! Love this! I remember laughing so hard with my two friends that we used to have to walk away and hide! haha! 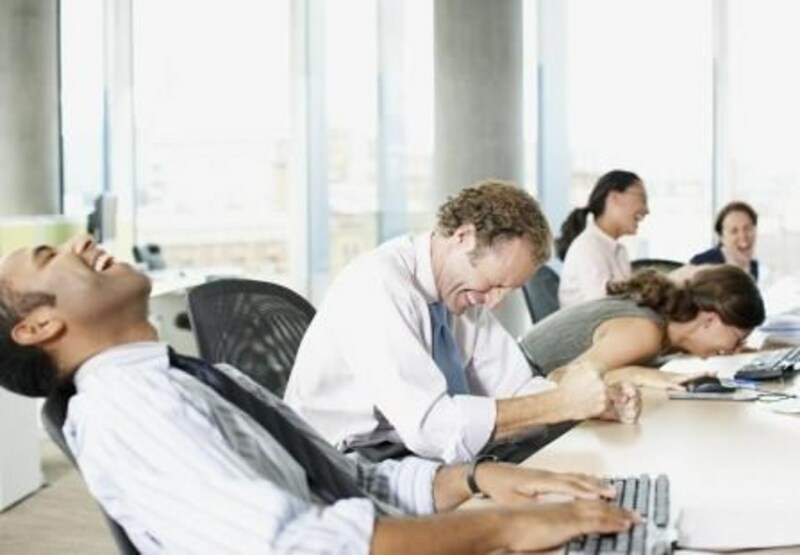 that office picture was similar to what it was like in our office, constant hysterics! still miss it now! I laugh a lot, so I like this. @Dan Barfield - That's beautiful. I love it when Adults have fun like kids and laugh so much like them. It keeps you happy, young and attracts good karma too. You're gonna marry a beautiful Angel. Best Wishes. I have also noticed the effect she has on other people and it makes me so proud it hurts. Whenever she walks into a room, you can see the smiles breaking out everywhere. She is a ray of positive energy that lightens hearts and minds. You're right Lady E. People often ask me how I can get over things so quickly. I've always been like that. Sometimes to a fault. But I don't want to waste a minute of my short life on this earth, using my energies that should be used for happiness. I forgive quickly and easily because that's what I expect from others if I make a trivial mistake. @Michael - Thanks so much. May life give you more to laugh about. @FastFreta - Hello, I am glad you enjoyed it. Good to see you again. Loved it. You are so right on all points. I can identify with most of them, especially #6. Very good and upbuilding hub. Vote up, awesome and interesting. 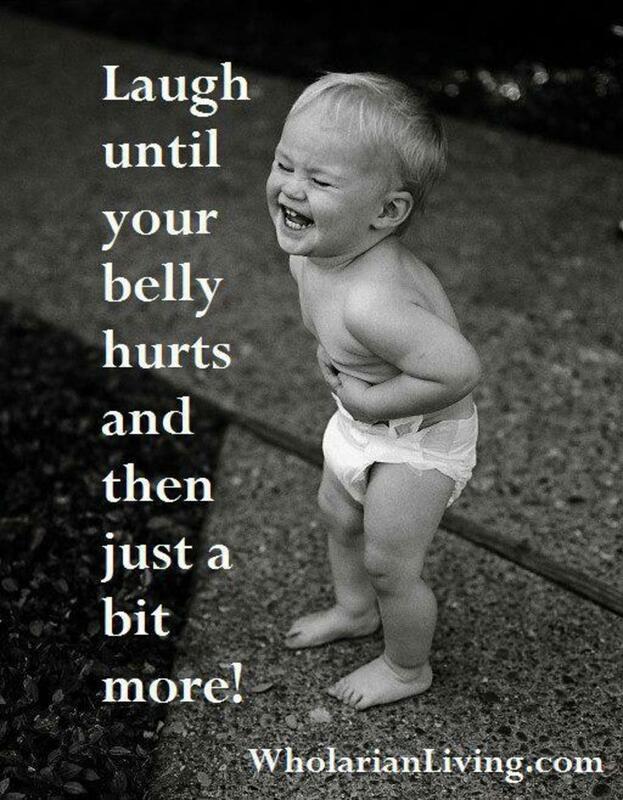 Great hub...and you are so right...laughing is great for the soul. I try to laugh as often as possible...it just makes you feel good. @Bingskee Oh... keep laughing. As you noted, it's therapy. I don't take myself seriously and laugh at myself too. Thanks for stopping. Hi, Lady_E! laughter is a therapy to me though it's a challenge to laugh at your own mistakes. We all need to laugh a great deal more. I always feel so much better when I have had great laugh! Great hub - thank you!!! @MomsSecret - Thanks MomsSecret - I wish this for them too. Hello LoveDoctor - that's good to know. Keep smiling. this is very true. I laugh a lot even when I'm a little buzzed. voting up! So, lovely of you to stop by. Nine great reasons to laugh and one great reason to care enough about someone other than yourself. Hello Shiningirisheyes - That's nice to know. Those lines give a natural, lovely look. I'm glad you stopped by. Thanks. Ahhhh - a good laugh - it's my favorite pass time. Just recently a few friends and I were discussing our thoughts on plastic surgery. Although there are far too many places on me that even a plastic surgeon can't help, the one characteristic I wouldn't change are the laugh lines around the corners of my eyes. Aaawh... thanks HoneyBB. I appreciate that. Good advice to help anyone realize why they need to laugh more! Thanks for sharing. I will put your link on my facebook page to share this. Hello Lady_E - Love this hub! The toddler laughing is priceless!! 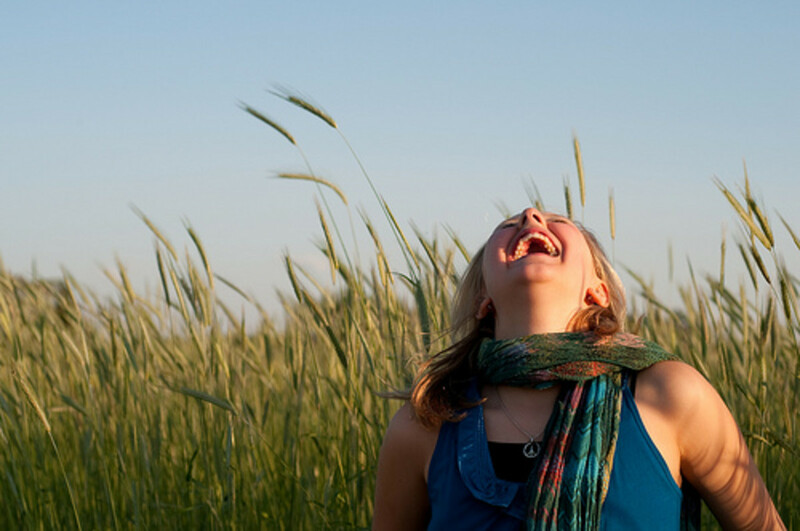 Yes, laughing helps keep us free from ill health. Good tactic you use towards your students - must make sure they are awake, LOL!! Have a great day!!!!! I love to laugh and I don't care what else could be going on in my life- there's nothing that laughter can't heal. And I love this list! Voted up, awesome, and interesting! @Georgescifo - It certainly is good medicine. Thanks for taking the time to stop by. @Addriene2 - I like that. Your friends/family and Colleagues would always love you around. They would never have a dull moment around you. Wishing you lots of good things, to make you continue to smile in life. Thanks. @Anglnwu - Aaaawh.... thanks Angeline. I hope life brings lots of inner smiles your way. Take care and thanks for sharing. @Divacratus - I love your attitude and would like to hear your laugh. lol. You must be one of those lovely people that when you tell a joke. First your friends laugh at the joke, then they can't stop laughing because they are laughing at your laugh. :) Thanks for stopping. @Alma - Aaaawh... thanks for sharing that beautiful story. I like it and I am glad you stopped by. Lady_E awesome hub! I love to laugh, and I really enjoy making everyone else around me laugh. Thanks so much for sharing the benefits of something that really come natural for me. My family say I am just to much because I keep 'em laughing. Now I really have the information I did not have before on why laughing will keep younger, love that benefit. Keep writing Lady E, thanks for sharing with the HP community! 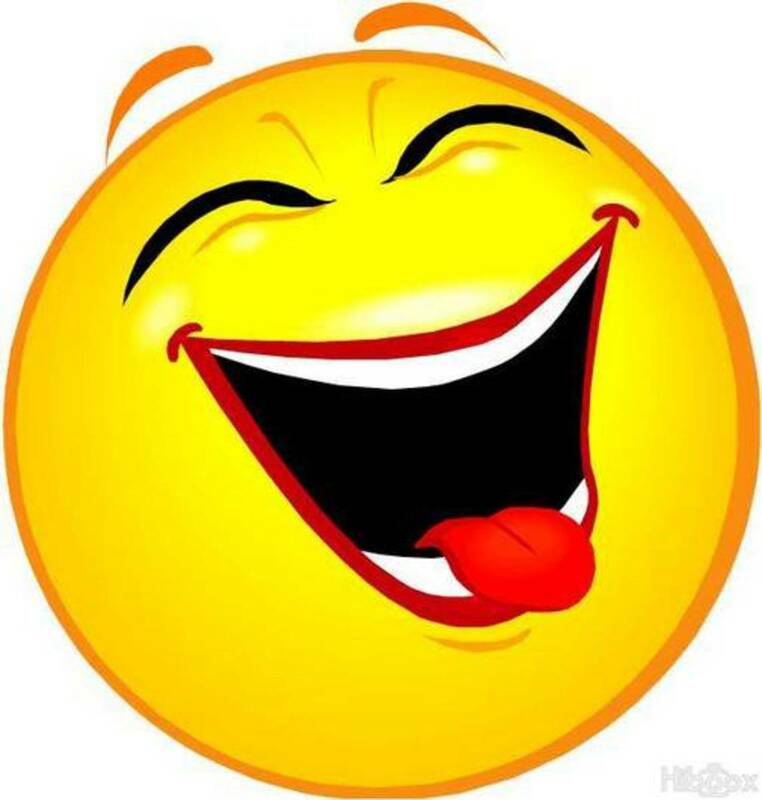 Laughing is the best medicine to make you stay healthy and live longer..
Want to read something to laugh about? Early this morning, my mother rushed to wake me up saying she won a million dollars! Of course I was totally shocked. She then got my hand, led me to the computer and pointed on an ad. I can't stop laughing. I love my mom but moments like that never fail to give me a laugh. Well, she laughed with me after knowing all about it. This hub is really great and inspiring! Loved going through this! I personally like being around people who are positive and who laugh a lot. It's irritating when people whine about anything and everything and I try to stay away from such people as far as possible. Personally, I have a very scary laugh so I am not sure whether I freak out people or give them a positive vibe! Laughing on the outside, crying on the inside--that will be me--haha. Great observations and I agree, laughter makes everything better. Shared 'cos it's so darn good. Lovely of you to stop by. Thanks and Best Wishes. Voted up, useful, awesome and interesting. I am happy to report that I am a proud smiler and someone who laughs many times throughout the day. My wife tells everyone that having me around has her waking up to laughter and going to bed still laughing. I think it is better to laugh than cry and I really do practice what I preach. "The Secret" is on the end table by my chair and I refer to it often. I'm reminded of a local kids TV show when I was a child. The hostess would always start with, "Remember, a smile is the magic key to the wonderful Magic Toy Shop." If more of us could just look at life as a magic toy shop and smile more this would certainly be a better world. @Acetnna Hi, "stitches" is definitely the way to describe it. Keep laughing. Thanks and Best Wishes. @Suzette Thanks. I am glad you enjoyed it. Very good points you make here. I enjoyed reading this article. Well done and well written. Wow - laughter is such a tonic. I love it when I am in stitches from sheer exhaustion of laughter. I love to laugh with my man. Great hub as always. @MamaKim - We could but sometimes when life is tough, we need someone to remind us to still find time to laugh. Good to see you... thanks. @flashmakeit - Aaaawh... that's so nice to know that it makes you forget your worries. Keep happy, lovely lady. I have a lot of fun when I laugh at something funny. Laughter makes me forget my worries and that is some good medicine. Hahaha, lol, giggles and more :) Thanks for the cheerful hub. @Vinaya - Thanks for stopping. Glad you liked it. @Crissylite - Aaawh... that's nice. How could we keep a straight face while watching Mr Bean, Fresh Prince or even Some Mothers do have 'em....? lol. Thanks for sharing.